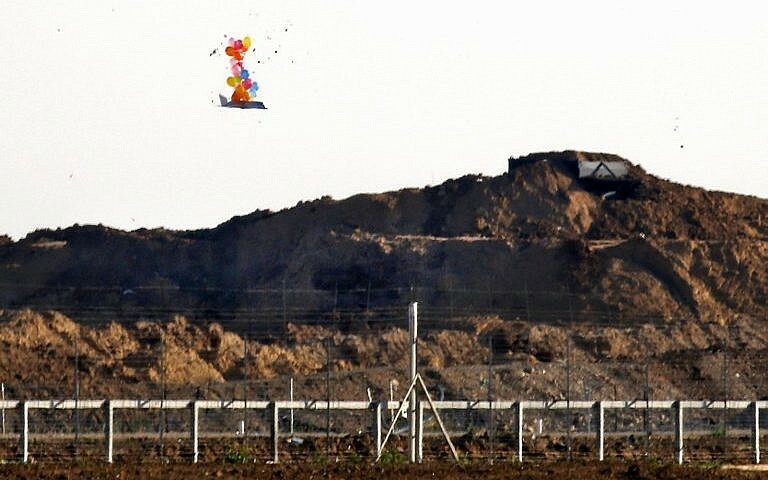 The report in the Al-Quds daily, citing “well-placed” sources, said smaller Palestinian factions in the enclave also told their member to halt launching balloons into Israel, amid intensive efforts to reach a ceasefire with Israel. 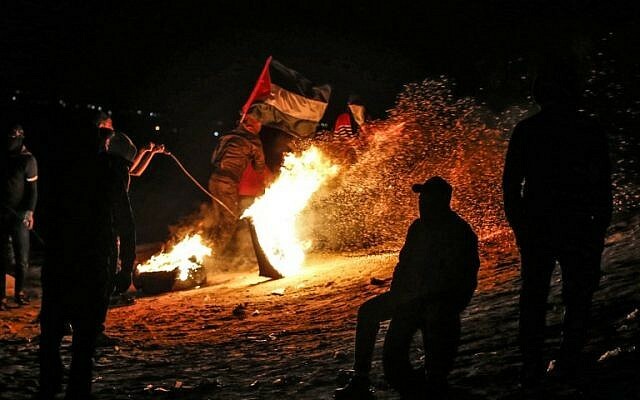 During the nighttime protests, rioters clash with Israeli troops, set off small explosions, light tires on fire and point lasers at security forces. The loud sounds created by the explosions at the nighttime protests have caused significant distress for many Israelis living adjacent to Gaza. Police spokesman Mickey Rosenfeld said in a phone call that he was not aware of any balloons landing in Israel on Wednesday. In addition, since early this week, Palestinians in Gaza have not carried out nighttime protests. 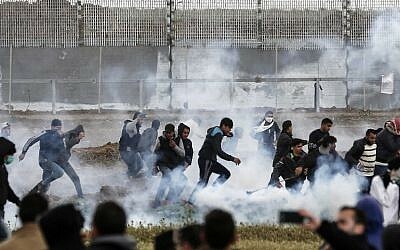 The Palestinian groups and factions told their cadres to halt the balloons and protests after “the process of [advancing] understandings to lessen the siege on Gaza started to move along well,” the sources told Al-Quds. Hamas chief Ismail Haniyeh said on Tuesday that Egyptian interlocutors informed the terror group of a timetable of when Israel intends to undertake additional measures to lighten its restrictions on movement, the Hamas-linked al-Risala daily reported. The al-Risala report did not say whether Haniyeh specifically stated when Israel will make these moves.